This book is a story book. It brings together the lives of the people who established Mary Potter Hospice: their colourful personalities, vision, creativity, energy and commitment. It recounts the numerous miracles, big and small, that occurred when inspiration bonded with sheer hard work. With its original focus on making the most of life, the Hospice touched the hearts of the people of Wellington and they responded with generosity beyond compare. 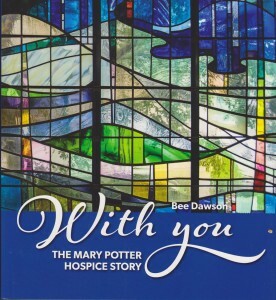 This book moves the reader along the journey of the Hospice, pays tribute to the vast army of people, professional and lay, who made it the centre of care it is today, and honours the people of Wellington who support it.